Posted On September 11, 2014 by Team iCynosure. Pearls are the most beautiful creations of nature, elegant and discerning. They are available in the most varied and attractive colours, unique shapes and different sizes which make them the most versatile element of an accessory. A Pearl is a natural treasure, that grows inside a mother oyster when a grain of sand finds it's way into it. When the oyster finds it difficult to expel the external irritant, it takes a defensive action and the cells secrete a smooth hard substance around the irritant. After several years, a beautiful pearl is formed. Not only is a Pearl a good investment with prices soaring today, but also it is the new statement piece every woman needs. Unlike other precious metals, you can wear them every day, everywhere. From meetings to dates to special days there is a pearl for every occasion. The trick is when you want to glow rather than shine opt for an excellent quality pearl. It is by far the most important feature and should be your primary concern. Lustre is the sharpness and intensity of reflections on the pearl's surface. To recognize a finer lustre, look at the clarity of images that are reflected on the pearl's surface. The closer to a mirror image you see, the better the lustre. Primarily when we think of pearl we think white. However, the most superior colour is pink, followed by silver/white and yellow. Cream, blue and grey are low-quality colours. It is a simple rule to remember the cost of a pearl is directly proportional to its size. Hence clearly the large the size, the better it is. However, having said that pearls used in a piece of jewellery should be both aesthetically and financially viable and hence a smart shopper should look at the overall appeal of the piece when consider buying. It is important that the pearls used in a piece of jewellery are well matched in circular in shape. Too many subtleties will create an unbalanced appearance. Look for pearls that are similar, while keeping in mind that perfectly circular and closely matched pearls will be more expensive. § Store pearls away from sunlight and heat, but not in an airtight environment. § Keep them away from sprays and perfumes as contact with these may discolour them. 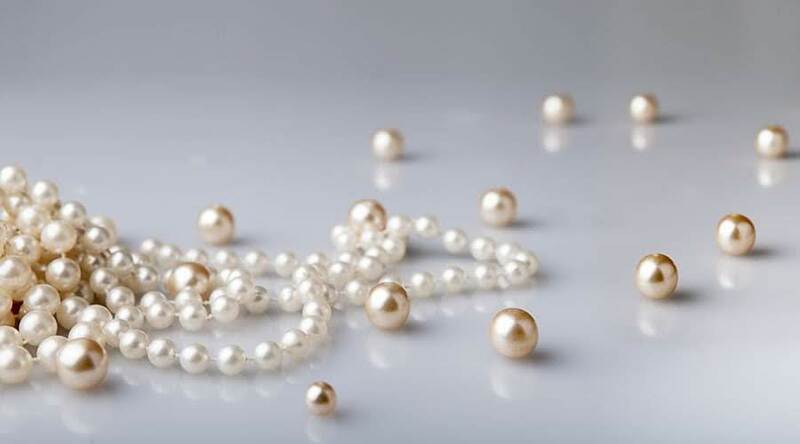 § The more you use your pearls, it is better for them as the moisture from the skin is good. § Wipe them with a soft dry cloth after every use. The key is to judge a pearl by its lustre, colour, size and shape in natural lighting to ascertain the quality. Another simple test is rubbing a pearl against your teeth will distinguish between a real and a fake, real pearls will feel rough and grainy while fakes will be smooth and glassy. Whats your favourite piece of jewellery? Do you have any pearls? Leave me your comments. I will be happy to follow each other - I am your newest follower. Your blog is lovely and I agree with you - pearls are wonderful. Your information was excellent - thank you for sharing. followed u with gfc & g+ , your turn now ! Thanks for checking out my blog, I'd love to follow each other! Just let me know when you do so I can follow you right back!